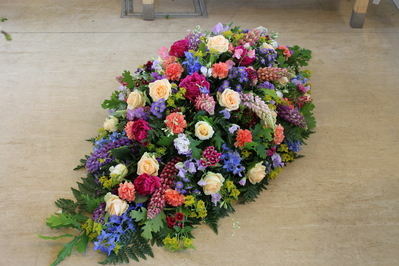 Flowercraft is a florist based in Lindfield, Haywards Heath, Sussex delivering funeral sprays and floral tributes across the Sussex area. We take pride in providing beautiful designs to make sure you receive a fitting tribute for your loved one. Our shop is open 6 days a week, please call us on 01444 484 472 or pop in and browse through our photo albums and discuss your floral tribute in more detail. We are able to deliver to any funeral director in the towns listed and are sometimes able to offer delivery a little outside of these areas, so please contact us to see if we can help. 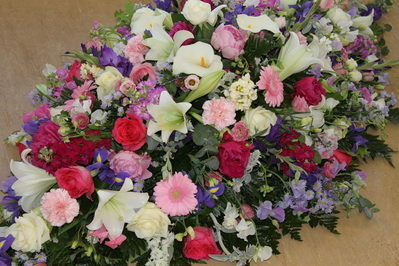 We liaise with the funeral director to ensure your flowers are delivered on the appropriate day and time. Whether ordering online or by phone we are here to help you arrange delivery of your floral tributes in West Sussex and East Sussex.